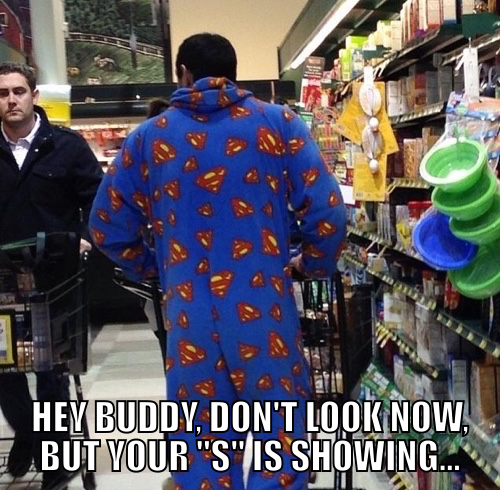 What else do you wear at the SUPERmarket? Even Superman loses his mind on Black Friday. The lingering effects of red kryptonite just never went away for poor Clark. Oddly enough, this is not the strangest thing you'll see at a Super Wal-Mart in downtown Smallville. After Smallville, things got tough for poor Tom.